Switching from a traditional wallet to a money clip can be very liberating. While the former type of wallet tends to be bulky and too large to fit in smaller pockets, the best money clip wallets are comfortable and easy to carry. As a bonus, making the switch between a traditional wallet and a money clip can help you get rid of useless stuff you have been carrying around for no reason. To help you choose the right one for you, this article will go over the 20 best money clip wallets on the market. Featuring a classic design with a modern twist, the LeatherBoss Men’s Money Clip is a perfect combination of elegance and practicality. What is more, this money clip hits a perfect balance between refinement and casualness, resulting in a great option for men who are looking for a wallet for everyday use. On the outside, the LeatherBoss Men’s Money Clip is made of genuine cowhide leather. In addition to looking fantastic and elegant, this material is incredibly durable and resistant to harmful external elements. Internally, this money clip features strong magnets that ensure security and safety for your important documents at all times. Considering its high level of quality and construction, and taking into account the fact that it is handcrafted, it can be confidently said about this product that it is top of the line. Even better, it’s very affordable, making it the perfect money clip wallet for daily use. With a chic and stylish design, the CL Carbonlife Carbon Fiber Wallet immediately stands out among its competitors. This money clip wallet is incredibly compact, taking full advantage of its minimalist design in order to become as unobtrusive as possible. In addition, this money clip wallet is remarkably easy to use. Made entirely out of high-quality carbon fiber, this CL CARBONLIFE product is tough. As a matter of fact, it is resistant to damage from external elements, scuffs, scratches and even water. As if that wasn’t enough, due to its beautiful design and matte finish, this money clip wallet is as stylish as it is durable. This product by TeeJay is a combination of a money clip wallet and a card protector. In order to help you keep your information fully protected, it features state-of-the-art RFID blocking technology. 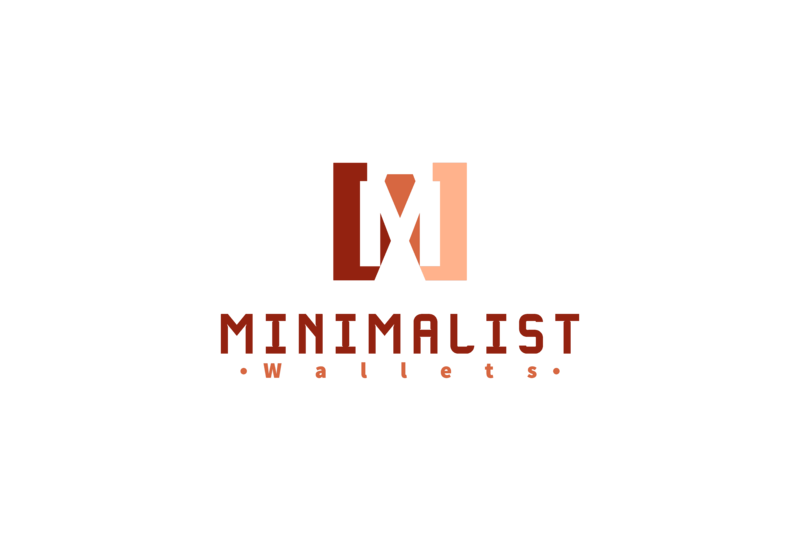 Minimalist and featuring an abstract design, it can be used by both men and women. Sleek and thin, the TeeJay Carbon Fiber Minimalist Wallet is very well-suited for people who are in need of both elegance and practicality. Its compact design is very comfortable and unobtrusive without sacrificing functionality. At the same time, it is very effective at keeping your belongings secure and in one place. Constructed using carbon fiber of the highest quality, the TeeJay Carbon Fiber Minimalist Wallet is sturdy and tough. This choice of material makes this money clip wallet very strong, resistant to scratches and basically impossible to deform. What is more, this choice of material makes the money clip wallet’s grip tight and powerful, resulting in complete security for your money and documents. Made of a clever combination of stainless steel and aluminum, the HONB Stainless Steel Money Clip is both durable and effective. These characteristics are boosted by the money clip wallet’s design. Compact and streamlined, the wallet’s design makes it functional and practical. Featuring a look that is luxurious and casual at the same time, this HONB money clip wallet is a great alternative for executive-type men with an edgy side. In addition to its smooth looks, this product has a solid, heavy feel that is reassuring when it is in your pocket. However, it is not bulky in the least, providing comfort to its users. The HONB Stainless Steel Money Clip feels great in your hand or in your pocket. By most accounts, its combination of genuine cowhide leather and carbon fiber feels just right, allowing users to instantly become attached to the product. Also, the money clip wallet has a fantastic grip. The ALASKA BEAR Classic Cash Money Clip is a carefully crafted, minimalist product that manages to be compact and impactful at the same time. Made of pure stainless steel, this money clip wallet features a proprietary design that was created by Alaska Design brands. The first thing many people will notice about this money clip wallet is that it’s remarkably compact and subtle in its design. Upon further inspection, however, you are likely to notice how effective this design is at keeping your money and your cards secure and safe. Additionally, I was pleasantly surprised to find out that it comes inside a cool velvet bag that is perfect for gift giving. By most accounts, the SWZA Minimalist Carbon Fiber Wallet is one of the best products of its kind. Made of high-quality carbon fiber, it is, at one time, lightweight and tough. Fueled by a clever minimalist design, this money clip wallet is also remarkably compact in size. With a construction that is a combination of a money clip and an elastic band, the SWZA Minimalist Carbon Fiber Wallet is functional and practical. Made of steel, its clip is strong enough to keep your money secure but at hand. Meanwhile, its elastic band can hold various cards with more than enough tightness to keep your reassured that your information is safe. This product by CL Carbonlife is made of a carbon fiber material with a remarkable level of density. This property makes it incredibly tough and durable without being heavy. As a result of using the aforementioned material, this money clip is, simultaneously, comfortable and secure. Unlike metallic money clips, the CL Carbonlife Carbon Fiber Money Clip Wallet has smooths and sleek edges that prevent it from hurting your skin (or damaging your clothing) when it is in your pocket. Despite not being capable of carrying too many cards at one time, this money clip’s compact design contributes to its overall practicality and elegance. Another advantage provided by this money clip’s compact design is its ease of use. As a matter of fact, if required, you can easily take out your cards out of this wallet using a single hand. Imported, hand-crafted and made with high-quality materials, this is a money clip wallet that is definitely worth checking out. Its main material is genuine brown leather but it also features a tough material with RFID blocking capabilities. Despite its compact size, the Le’aokuu Genuine Leather Magnet Money Clip can hold various cards, bills and even coins. What’s more, it features a quick-access transparent window for carrying your personal identification document. Thankfully, all its pockets and slots are large enough to fit your cards and bills with ease. Without a doubt, one of the most notorious features that this wallet has is its strong magnet clip. Somehow, this clip is strong enough to keep your bills secure while also being flexible enough to allow an easy extraction whenever it is needed. Furthermore, this clip does not lose strength or become deformed with use over time. This snazzy and elegant money clip by Y&G is remarkably well-designed. Despite being compact and slim, it allows you to carry several cards and bills with remarkable ease. Its clever design has not one or two but three spaces for carrying cards. In addition, this product has a magnet clip that is capable of keeping your bills tightly secure at all times. The Y&G Men’s Fashion Slim Wallet comes in various elegant colors, including an eye-catching gold and a chic white. No matter what color you choose, however, this money clip is notably sophisticated. In addition, its minimalist style makes it versatile enough to go with any look from casual to elegant. It is very comfortable to carry in any pocket, including those smaller jacket pockets that are often less unused. Without a doubt, this characteristic makes this money clip a great option for people who dislike having an uncomfortable bulge in their pockets. When it comes to money clips and compact wallets, simplicity of design is very much a desirable quality. Luckily, this money clip by SourceTon has an incredibly simple design. That does not mean, however, that this money clip is not functional. As a matter of fact, it does its job perfectly. Because it features a very simple and compact design, the SourceTon Stainless Steel Money Clip does not have a great card and bill holding capacity. In fact, it can only hold about 15 bills or 3 cards at the same time. This is the only but biggest negative characteristic of the wallet. This product by Easyoulife combines a traditional leather wallet with a modern metal money clip. The result of this combination is a secure and stylish money clip wallet that is practical and has a great holding capacity. It features RFID blocking capabilities in order to protect your data and personal information at all times. In addition to having a money clip capable of holding various bills at the same time, this product has various slots for storing your cards. Despite the compact size of this money clip wallet, these slots are large enough to fit most cards. Sadly, however, the product does not feature a transparent window for your ID. Despite being somewhat bigger and clunkier than most products of its kind, this money clip wallet is a good choice in my opinion. If you are looking for a luxurious, elegant and impressive wallet option, this money clip may be just the thing for you. Made of high-quality metal and featuring gold layers, this product is extremely eye-catching. However, it also has a sober, dignified and grounded quality that makes it a perfect choice for momentous occasions. Upon first inspection, the characteristic that stands out the most about this money clip is, without a doubt, its antique coin ornament. Designed by Gilroy Roberts and Frank Gasparro, this coin design features the presidential coat of arms and the bust of John F. Kennedy. Compact, resistant to external elements and very secure, this money clip wallet is a very practical option. At the same time, however, its luxurious design makes it an attractive option for men who want to stand out among their peers. The Piboshi Mens Money Clip is super-slim and minimalist. However, it is capable of holding a considerable number of bills and credit cards at one time. Quite notably, the product is made of genuine cowhide leather, and it uses strong magnets to keep its clip tight and secure and all times. Perfectly processed, this high-quality leather is tough, resistant and durable. What’s more, it has an incredibly strong stitching that prevents it from coming apart over time. If you are to believe most comments and reviews found online, the Piboshi Mens Money Clip has earned a warm reception among the people who bought it. Many of the comments referred to its simple elegance. Various others praised the money clip’s effectivity at keeping your money and cards secure and safe. If you are looking for a money clip wallet with a simple and straightforward design, be sure to give this HooAMI product a try. Made of stainless steel and featuring a very clever minimalist design, this product is remarkably inconspicuous. However, it’s also elegant and stylish enough to be noticed by other people when you pull it out of your pocket. Undoubtedly, the most remarkable thing about this money clip is its functional design. Featuring two clips instead of one, it can hold both your money and your cards without resorting to using slots or pockets. This gives the money clip a clear advantage over many of its competitors. 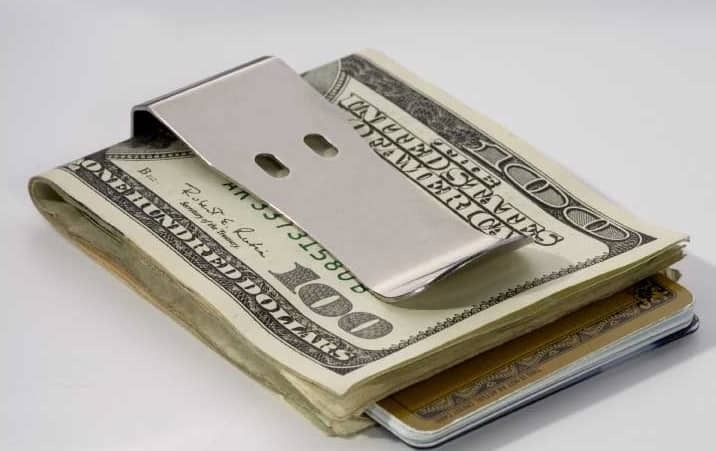 This money clip’s smart design also enables its users to avoid having to stick it in their pockets (where it may fall out or cause discomfort). Instead, it can be clipped onto your clothing, your suitcase or even a bigger wallet, resulting in additional security. This edgy-looking product has a lot of advantages and benefits. However, its most remarkable characteristic is its slim profile. Being incredibly thin, this money clip is not bothersome or obtrusive in the least. Furthermore, it does not create a bulge when it is in your pocket. Apart from being a great money clip, the Lever Gear Toolcard Pro with Money Clip is a useful tool because it doubles as a ruler. As if all the previously mentioned benefits were not enough, this money clip is in compliance with all TSA carry-on rules. This a characteristic that customers who travel often will appreciate. Made in the USA, this money clip wallet by Real Leather Creations is a high-quality product with a top-notch construction. It is made of genuine leather, and it was handcrafted in its entirety. Apart from leather of the highest quality, this money clip is made with extra strong magnets designed to keep your money tightly secure. Despite its choice in materials, this product by Real Leather Creations is compact, and it fits perfectly in most pockets. In addition, it is very lightweight, making it easy for its users to forget about it once it enters their pockets. Made of strong, smooth and elegant stainless steel, this product by Tapp Collections represents a sleek way to keep your bills and money secure in one place. Incredibly minimalist, it is compact and slim enough to fit comfortably in the smallest of your pockets. Thanks to its minimalist, simple design, the money clip is also lightweight, compact and unobtrusive. In addition, it has a stylish, polished look that can add to the elegance of your overall look. What is more, this product’s metallic look goes well with any style ranging from casual to formal. Piece of Mind Accessories is a company that is characterized by creating simple and yet incredibly functional products for modern men. To be sure, this product does not stray away from that path. Made of high-quality materials and enhanced with stainless steel, this money clip is both tough and durable. However, being compact and slim, it is not heavy or bothersome. Even better, due to its construction, it can hold several bills and various credit cards at the same time without losing its shape. This fun and clever money clip looks like a big paper clip. However, it is as functional and secure as any traditional metallic money clip with magnets. In fact, it works perfectly, keeping your money and cards secure without creating bulk in your pants. Made of cadmium-free stainless steel, the VALYRIA Silver Stainless Steel Paper Clip is tough and durable. Additionally, its construction is sophisticated and smart, resulting in incredible durability. Despite its tongue-in-cheek look, this is a money clip that would not look out of place in a formal setting. Largely, this has to do with the refinement that its design and engineering provide. Compact, solid and sleek, this is a money clip wallet that is very much worth looking into. Featuring a unique and stylish design, this money clip stands out among its competitors. Being able to hold up to seven credit cards and ten bills at the same time, it is also very practical and remarkably functional. What is more, it is tough and resistant without being bulky or heavy, making it a perfect product for people who appreciate practicality. Without a doubt, this is a money clip that stands out visually. On one hand, this has to do with its choice of materials. Made of anodized aluminum with black urethane accents, it has a sleek, smooth feel that is very satisfying. However, what truly stands out about this wallet is its unique design. The M-Clip Ultralight Aluminum Money Clips comes in a variety of colors that range from an elegant silver to a snazzy bright orange. Additionally, it comes in a beautiful gift box with a surprising level of quality. As a result, it is a great gift option for men of all ages. Having evaluated all the products featured in this list, it’s time to choose the winners. First, we’ll name the product with the best value: The LeatherBoss Men’s Money Clip. In our opinion, this product has the best balance between quality and price. Finally, we’ll announce the editor’s choice for best money clip wallet: The CL Carbonlife Carbon Fiber Wallet. Effective, elegant, secure and durable, this money clip is a great option for sophisticated men with a practical side.